Happy Holid-Eggs! If you are looking for awesome holiday gifts, get ready to be inspired! More importantly, get ready to make some check marks on that list of yours. Whether you are shopping for kids or adults, someone who is just starting a yoga practice, or someone who has years of experience, we have the gifts you're looking for. This year's Holiday Gift Guide also includes personal picks made by our team here at Three Minute Egg ®. Enjoy! "My favorite Egg right now is the Hard-Boiled Junior. It took me a while to figure out why I’d made so many of them, but now that I’ve started teaching with them regularly, I’m very glad I did. If you’ve ever seen me practice yoga, you know I’m fairly capable for a 47-year old dude, but also that I have some limited mobility due primarily to back problems. I also manage crackling knees, won’t-be-bossed-around hips, and occasionally uncooperative feet. This is where the Hard-Boiled Junior comes in handy. Anytime I do a deep lunging posture, like Virabhadrasana I (Warrior 1), where I don’t have my hands on supports for balance, I cannot comfortably keep my back heel angled out and on the floor. It puts too much pressure on my back knee. That’s why I’m so enamored with these Junior Eggs! Next time you’re doing a posture where your back heel is up in the air and maybe it shouldn’t be, try wedging a Hard-Boiled Junior Egg under a heel. This will enable you to have the right alignment for your body, and the right support for your posture. If this feels in any way unstable to you, you can do what I do and lay a second Egg (it can be any size) flat on the ground behind your curved-side-up Junior. Now you have a totally reinforced wedge under your back foot; something you can ground into, lift up from, and feel safe because of. It’s like bringing a wall into the middle of the room! Try it, you’re gonna love it." > Add Hard-Boiled Juniors to your order! > Add a Teacher's Dozen to your order! "Yoga Eggs are wonderful gifts for someone you love and care about! They help create a different perspective and facilitate positive change in how we move and access our body. With every set of Eggs that I gift to someone, I know that I am helping the recipient build a greater awareness and understanding to deepen their practice safely and tap into their vitality through optimal movement and alignment in the postures. My pick is the Breakfast of Yogis. This set contains 4 Multi-Purpose Namasteggs for blissful restorative, supine and standing postures. It also comes with 2 Hard-Boiled Namasteggs for weight bearing and balancing postures. This is a great way to get started with Eggs and a truly magical combination!" > Add a Breakfast of Yogis to your order! Keep reading for more gift ideas! Namasteggs – Our classic ergonomic yoga block is available in Multi-Purpose and Hard-Boiled Density and in a variety of beautiful colors. Breakfast of Yogis – We recommend this set for anyone receiving Yoga Eggs for the first time. It comes with 2 Hard-Boiled Eggs, 4 Multipurpose Eggs. Junior Eggs – If she’s under 5’ 5”, then Junior Eggs are going to be the best fit. Yoga Mats - Both the Jade Harmony Professional Yoga Mat in the 68” size (74” if she’s taller) or the Manduka Pro yoga mats are high quality mats that make wonderful gifts. Yoga Sak - This backpack-style yoga bag is as comfortable as it is stylish. It holds your yoga mat securely and even has room for your Yoga Eggs, too! > Shop for yoga gifts for her here. Hard-Boiled Eggs – These Yoga Eggs are harder and slightly heavier, making them ideal for weight bearing and for larger people. Breakfast of Yogis –The perfect way to get started with Eggs! This set includes 2 Hard-Boiled Eggs, 4 Soft Eggs in the colors of your choice. Don't forget to add our instructional video download! Both Jade and Manduka yoga mats come in larger sizes for men. Yoga Sak - This backpack-style yoga bag is comfortable and durable and makes a great gift for yogis! Junior Eggs – Kids love yoga and we love kids. Hence, the Junior Egg! Junior Eggs are slightly smaller than our classic Namasteggs, making them a perfect gift for smaller bodies. Parents love the Junior Eggs because their shape and bright colors encourage activity and creativity. > Find more yoga gifts for kids here. We recommend a Yin Yang set for someone who is new to yoga or looking to start a yoga practice. Yin Yang sets include a combination of Hard-Boiled Eggs (for weight-bearing poses) and Multi-Purpose Eggs (for comfort). Our Egg 101 Alignment for Yoga video download provides a lot of information for beginners to yoga and the Eggs. > Find more gifts for yoga beginners here. Yin Yang sets also make excellent gifts for seasoned yogis looking to deepen their practice. The unique shape of the Eggs provides an unmatched combination of precision and support in restorative postures; and an added challenge in standing/balancing sequences because you can't dump all your weight into an Egg, the way people tend to do with rectangular yoga blocks. No matter what style of yoga they enjoy, the Eggs add new dimensions to their practice.The Breakfast of Yogis in particular is a very well-rounded set of Eggs. It comes with 2 Hard-Boiled Eggs and 4 Multi-Purpose Eggs. We recommend the Breakfast of Yogis for anyone receiving their first set of Eggs. > Find more gifts for experienced yogis here. Jade Yoga Mats – Both the Jade Travel Mat and the Jade Harmony Professional Mat are under $100! Manduka Mats - The popluar PROlite, the EKO mat and the eKOlite mats are all under $100! > Find more yoga gifts under $100 here. 2 Egg Sets - The Eggsecutive and the Junior Eggsecutive are both under $50! Yoga Sak - This backpack-style yoga bag holds your mat, phone, wallet, keys, yoga clothes, yoga props and more. The makers of the Yoga Sak have thought of everything! Hasta Pada Yoga Belt – This yoga belt’s unique two loop design to fit either a hand (hasta) or foot (pada) is innovative and useful. It can also be used to carry your yoga mat and make a great companion to Eggs. DVDs and Video Downloads - In addition to our Egg 101 Healthy Alignment for Yoga downloadable video, we also carry the Dao Flow Yoga for Women’s Health DVD set. 3ME Apparel - Comfy yoga t-shirts make great stocking stuffers! > Find more yoga gifts under $50 here. Scrambled Eggs by the Dozen – As all our Eggs are handmade, they occasionally end up with some minor scuffs and marks. They are brand new and otherwise the same as our retail Eggs. The main difference is the price! Most teachers like to have 2-6 Eggs per student and a combination of Hard-Boiled and Soft Eggs. Egg Duffle Bags - For the yoga teacher on the go. Our Egg Duffles are designed especially for Eggs and come in 12, 24, and 36 Egg sizes and 3 fabric options. Tote Bag - Yoga teachers are often carrying many items to and from yoga classes. This heavy duty tote bag also has a beautiful yogic theme printed on it. T-shirts - Yoga teachers always appreciate having new clothes to wear to yoga! > Shop for gifts for your yoga teacher here. ECO Yoga Eggs - Made in the USA with 100% biodegradable foam. They last just as long as our original Namasteggs but if you ever throw them out, they’ll disappear faster in a landfill. 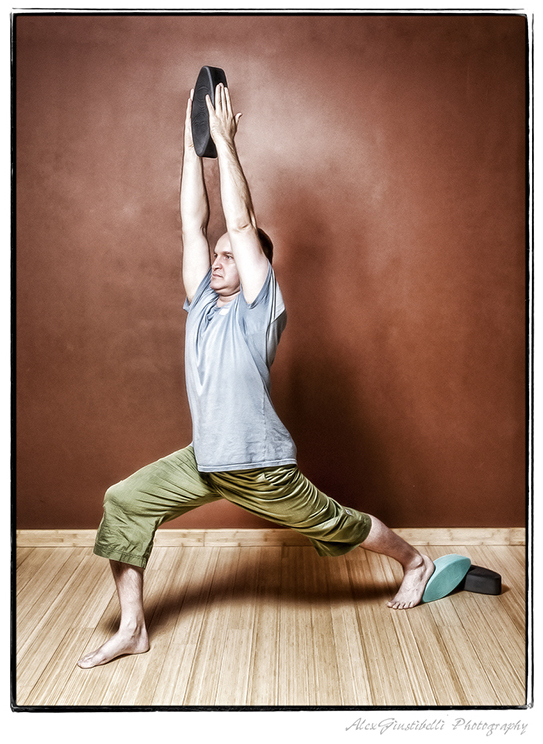 Jade Yoga Mats – Also made sustainably in the USA from natural rubber. They provide optimum grip, cushion, and greater resilience than other mats. This is the best yoga mat for using with Eggs as the grip helps to keep the Eggs in place. Manduka eKO Mats - Made from biodegradable, non-Amazon harvested, natural tree rubber, these eco-frienly yoga mats provide cushion and support for your practice while protecting the planet. > Shop for eco friendly yoga gifts here. Looking for a last minute gift? Or do you think the recipient would prefer to pick out their own yoga accessories? Three Minute Egg Gift Certificates have you covered! You can choose the dollar amount and send a personalized message with your gift. The gift certificate will be delivered directly to the recipients email address with instructions on how to redeem. > Purchase a Three Minute Egg gift certificate here. Thanks for reading to the end of the post! To show our appreciation, we would like to offer you a chance to download our Egg 101: Healthy Alignment for Yoga video for free with any purchase. You will need to add the video to your shopping cart and use case-sensitive code GIFTGUIDE16 at checkout to receive the discount. Good through 12/31/2016.